An Interplast UK team leaves for Islamabad and Jhelum, Pakistan, on 9th September, returning on 25th September. Many thanks to our generous supporters and to our volunteers for enabling this work to go on. Here’s wishing you safe journeys and a successful mission! Our life-changing work is in demand around the world! We are currently negotiating visits to Nepal, India and Kashmir and also possible visits to Libya and Palestine. Our secretary will soon be emailing our list of medical volunteers so that we can begin to build our teams. If you are not on our list and would like to be, visit our GET INVOLVED page! Grand fund-raising ball, York, 19th Nov. There is to be a grand fund-raising ball for Interplast UK at York Racecourse on the evening of Saturday 19th November 2016. More details will be available soon – but do save the date! Do plan to come to York that weekend – you can meet up with old friends and make new ones – it is also the start of the famous York Christmas Market! There will be tables of 10 so bring your friends. We anticipate the cost will be around £45 per person for a three course meal, entertainment, auction and raffle and dancing to live music. Comments Off on Grand fund-raising ball, York, 19th Nov.
London Marathon 2016 – well done Paul! Congratulations to Paul McCrone who successfully ran this year’s London Marathon on 24th April to raise funds for Interplast UK. Including Gift Aid on donations, Paul raised a grand total of £856.09! What a fabulous effort – we are so grateful to you Paul. Comments Off on London Marathon 2016 – well done Paul! BBC News features Interplast UK! Do check out this link! Comments Off on BBC News features Interplast UK! Interplast UK are pleased to announce that we have finalised our teams to Islamabad and Jhelum in Pakistan from 9th – 25th September and to Kumi Hospital in Uganda from 29th October to 13th November. We are so grateful to the many skilled medical personnel who have volunteered and only sorry that we have not been able to accept all the offers of support – if you were disappointed this year, please do try again next year! As you can imagine, costs for flights, accommodation and medical supplies for our missions are considerable. Lynn would love to hear from you if you would like to help raise funds for our missions. She can supply literature, PowerPoint presentations and/or a speaker for an event …………… just get in touch and we’ll see what we can do together! Our team of 13 volunteers have completed their two week mission at W Pratiksha Hospital in Gurgaon, Haryana. I am sure that we are all looking forward to hearing all about it! Home from Kumi Hospital, Uganda! 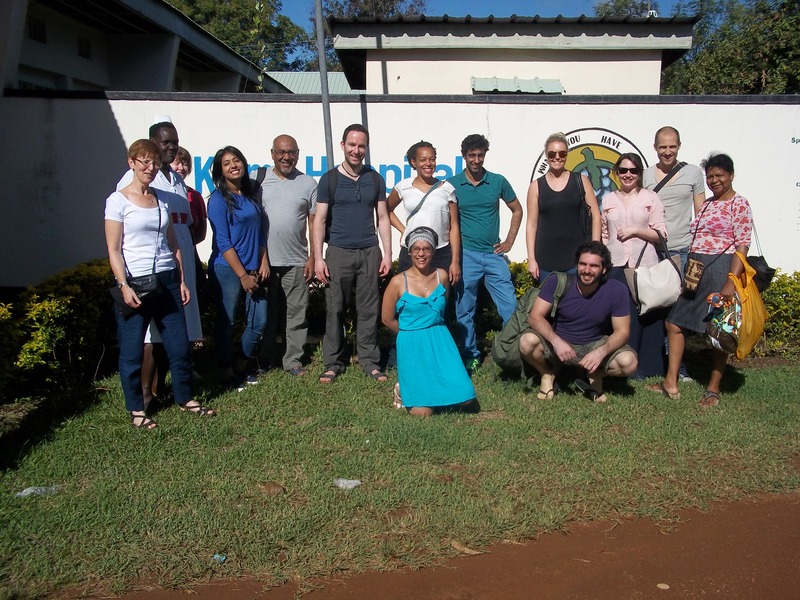 The team of 15 Interplast UK volunteers have made it home from our mission to Kumi Hospital, Uganda! The visit was a great success, with about 75 operations carried out. The youngest patient was only 3 weeks old and the oldest 80 years old! The team, some of whom had not visited Kumi before, worked well together. We had good support from Kumi hospital staff. Patients and their families were so appreciative of our input. An overview of this trip is now available on our mission reports page. Comments Off on Home from Kumi Hospital, Uganda!